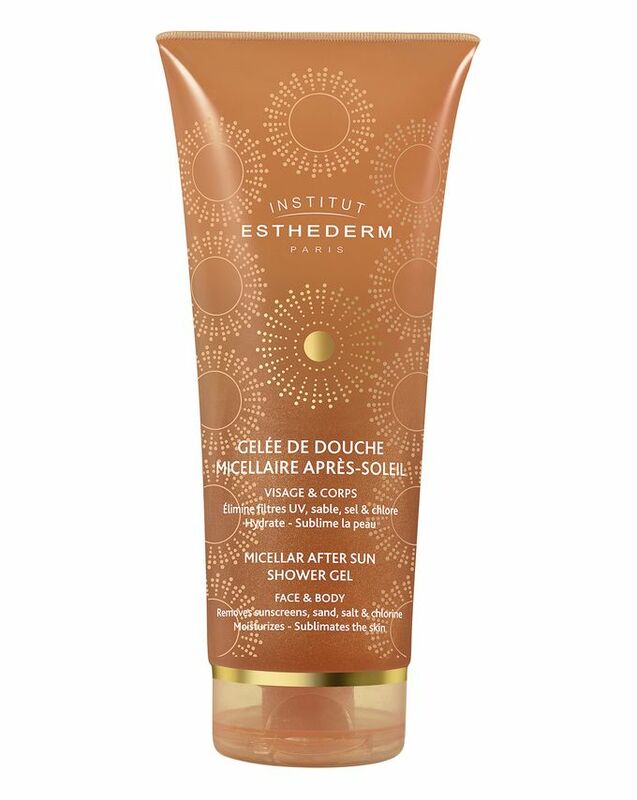 The perfect way to refresh after a day in the sun, Institut Esthederm’s unique shower gel removes all traces of salt, chlorine and sun lotion. Containing micellar molecules, this luxurious gel lifts dirt and residue without the need to ‘rub’ skin – the molecules absorb impurities then cluster together, providing an effortless cleansing action. Soothing overheated skin and helping to bolster its protective barrier, this formula also (miraculously!) helps to prolong your tan! We can’t say no to that. 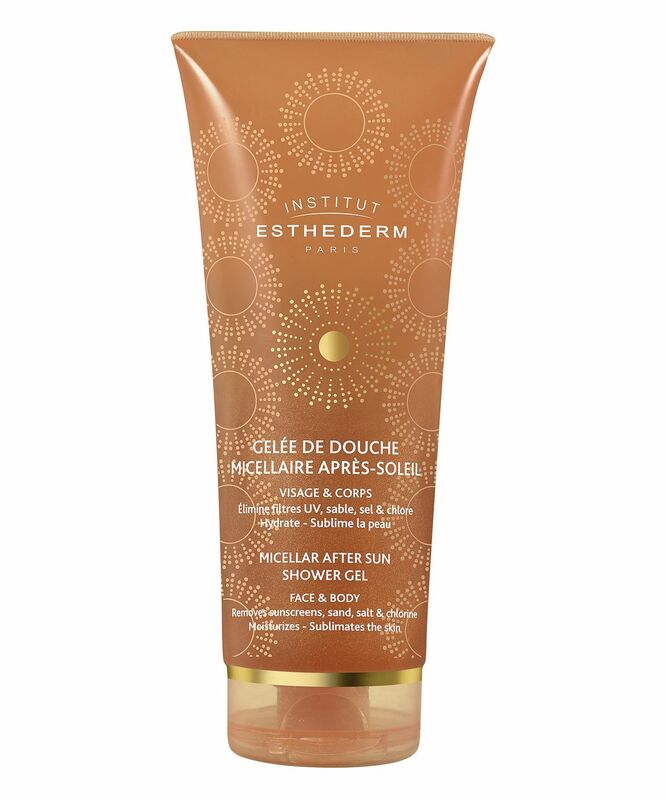 Gently remove all unwanted traces of a day in the sun while prolonging your tan and soothing your skin with Institut Esthederm’s innovative Micellar After Sun Face and Body Shower Gel. 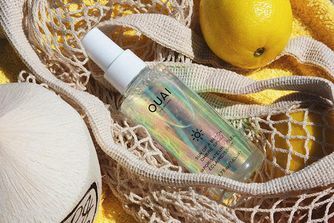 Containing micellar molecules that cluster together lift away dirt and impurities, this clever, luxurious formula gently removes all traces of salt, chlorine and sun lotion – effortlessly and without the need to ‘rub’ skin. This helps to keep skin’s tan intact, indeed, the formula helps to prolong tan while also working to soothe overheated areas and help rebuild the skin’s protective barrier. Also providing long-lasting hydration, this leaves skin feeling cared for and, with the signature fragrance of Institute Esthederm, it’s a pleasure to use.